When we want to say just how big something Very Big is, we often claim that it’s visible from space. This expression has entered our everyday speech and while it’s not to be taken too seriously (especially when referring to someone’s ego or particularly loud shirt), there are some man-made objects and features that can be seen from space. For the sake of simplicity and realism, most people agree that “seen from space” means seen from the altitude above earth most of our manned space stations orbit at. The International Space Station orbits the earth at 245 miles up and most US space shuttles are around 135 miles above the planet. These altitudes let the astronauts see cities, especially at night, and the lower orbits of space shuttles mean that airports, dams and even large ships are visible through binoculars. There’s a greenhouse complex in Almería in Andalucía, Spain that covers around 50,000 acres (around 185 square miles). This complex provides a lot of Europe’s fruit and vegetables, which are grown there by over one thousand different farmers and companies. The white plastic structures cover the area so densely that they’re thought to reflect enough sunlight back into space to cool the region down! Or rather, the mine’s 60-mile long conveyor belt. This mine is in the Western Sahara and it supplies a lot of the world with its phosphate compounds, which are extracted from the ore mined at Bou Craa, before being transported to El-Aaiun, a port city. There are no roads in this area, so this endlessly-moving conveyor belt is necessary to transport the ore to cargo ships. Modern day conveyor belts use industrial transmission chains from Renold PLC and similar companies so they can handle the intense heat and dust with ease. 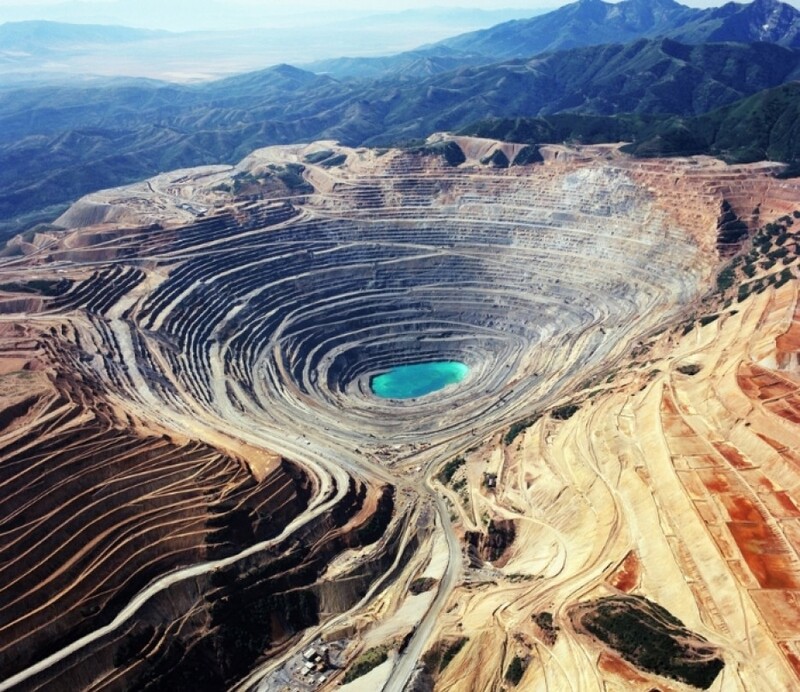 Also known as the Bingham Canyon Mine, the Kennecott Copper Mine is the world’s largest open-pit mine and at 2.5 miles across and 0.6 miles deep it can easily be seen from a low orbit. The mine, located south west of Salt Lake City in Utah, started in 1906 and extracts copper from a porphyry deposit. The ore – the mine produces 450,000 tons of ore daily – is transported to a nearby refinery and smelter and the mine has yielded almost 20 million tons of copper over its lifetime. Despite popular belief, you actually can’t see the Great Wall of China from the moon. Astronauts Eugene Cernan (the subject of 2014 film “The Last Man on the Moon”) and Ed Lu say the Great Wall is visible from a low orbit but only under certain conditions. It’s believed that the Moon myth comes from the fact that astronomers could see canals on Mars through telescopes and reasoned that long thin structures were visible from space. The truth is that someone would need visual acuity 17,000 greater than normal to see the Great Wall from the moon.